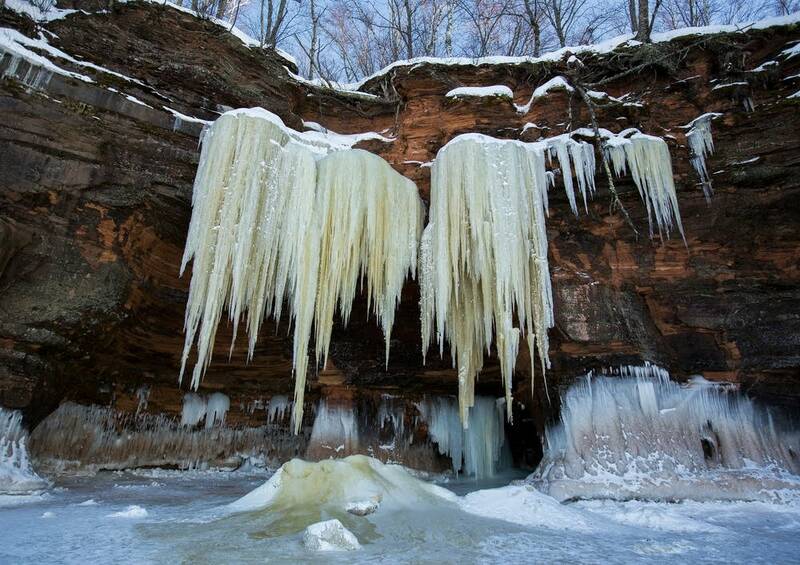 Last week's cold snap helped form a lot more ice on Lake Superior — but access to the well-known mainland ice caves at Wisconsin's Apostle Islands National Lakeshore remains closed. 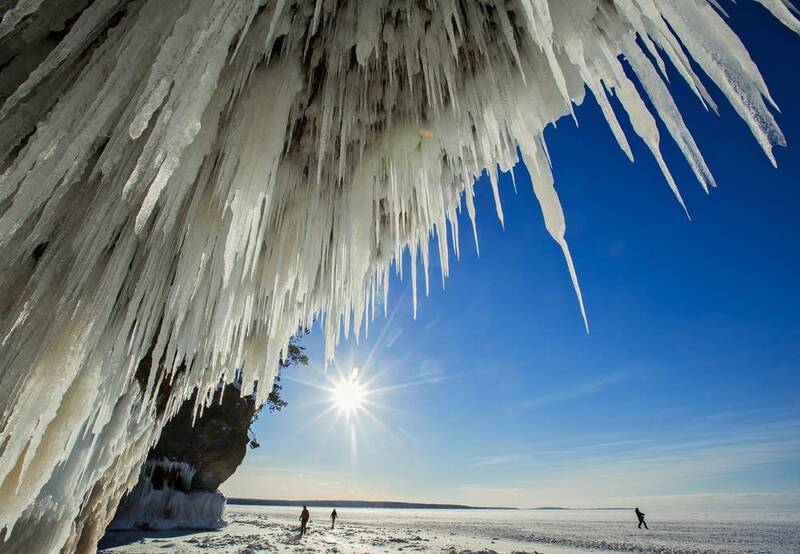 In 2014 and 2015, the spectacle drew tens of thousands of visitors who walked a mile or more on frozen Lake Superior to reach the ice formations. But they haven't been open to foot access since then because of warm winters and poor ice conditions. 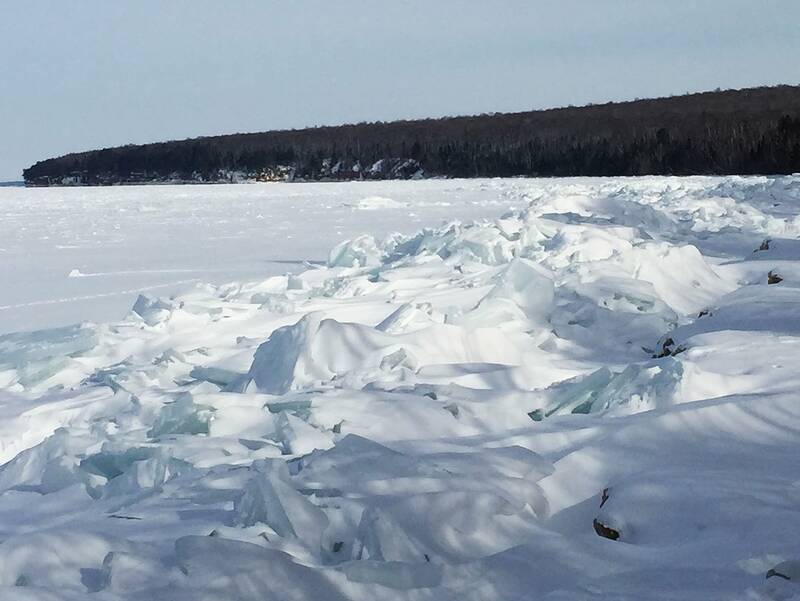 Julie Van Stappen, chief of resource management at Apostle Islands National Lakeshore, said the ice that has formed so far this winter is jumbled and jagged, pushed by wind and waves; the park staff call it "shark fin" ice. Walk-in access to the caves is not open to the public until the park officially deems it safe. "Oftentimes that first ice that comes in is really not real good ice, and it's certainly not very easy to walk through," she said. "Then sometimes the best conditions are if that totally blows out, and you get new ice. And what you need for really good ice formation is cold but very calm conditions." And there needs to be a lot of ice. Van Stappen said there needs to be ice from the South Shore all the way to Minnesota's North Shore, locking in the ice pack — otherwise wind and waves can continue to chip away. "We have seen 3 feet of ice blow out overnight," she said. Specially trained park rangers will be monitoring the ice conditions in the coming weeks to see if they'll improve enough to allow safe access. Updates are posted on the park website and Facebook page. The mainland sea caves are located along the Lake Superior shore a few miles northeast of Cornucopia, Wis., or about 50 miles east of Duluth. "It's very spectacular sandstone cliffs and small caves — they're not caves that are very deep; they're more shallow," Van Stappen said. "What happens during the winter is you get spray from the lake (waves) and also seepage through the sandstone — and they can create just really incredible ice formations." 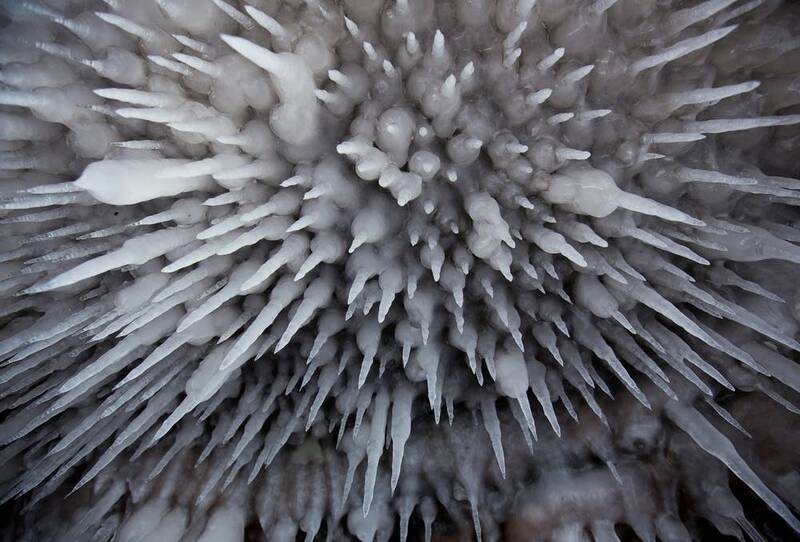 Depending on the weather, the formations can be broad sheets of ice or extremely delicate. 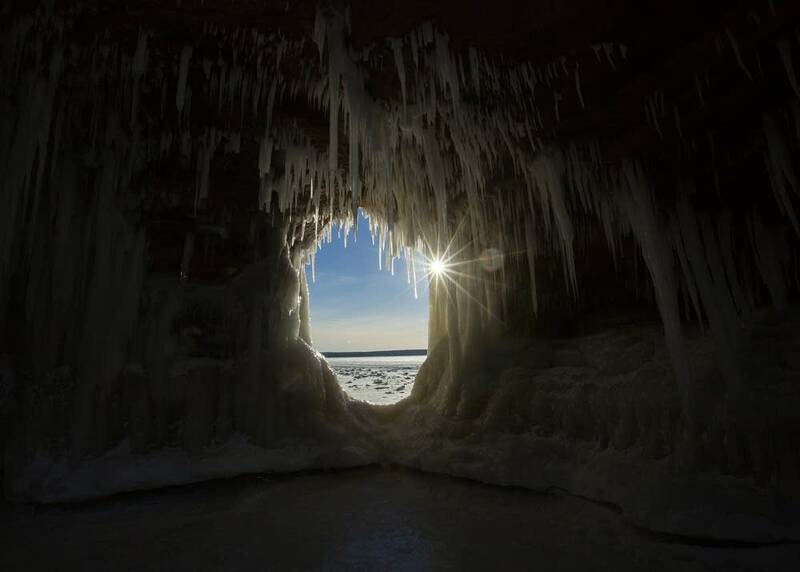 The caves have been accessible on-and-off for years, but it truly became a regional — even worldwide — phenomenon in 2014, when thousands of visitors descended on the Bayfield Peninsula during what turned out to be a particularly long season of access to the ice formations. "2014 was amazing — it just totally exploded. We had people from all over the world — people from Australia, from Argentina," she said. "It was amazing to see all these people getting out, going out in just really bitterly cold conditions to see something that's truly just in the natural world. ... It was really a neat event. It took us off-guard a bit, we did the best we could — but it ended up being a really special thing." The caves were accessible for a much shorter season in 2015, when park staff were better-prepared for the onslaught of visitors. "It is a lot of very long hours and hard work and all of that — but it is really rewarding to have people appreciate the park the way they do," she said.